Select one of our ASP.NET Hosting packages to start your ReportViwer website. 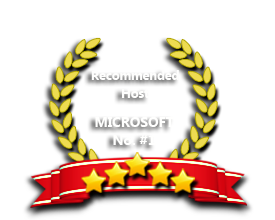 All of our hosting packages fully support the ability to host ReportViwer sites. Why you wait longer? ReportViewer is a freely redistributable control that enables embedding reports in applications developed using the .NET Framework. Microsoft Visual Studio 2013 includes report design functionality and ReportViewer controls so that you can add full-featured reports to custom applications. Reports may contain tabular, aggregated, and multidimensional data. ReportViewer controls are provided so that you can process and display the report in your application. Sign up our FREE Trial ReportViewer Hosting with no risk to try our excellent service! If you dont satisfy with our service, please just cancel at anytime. High Performance and Reliable Server - We never ever overload our server with tons of clients. We always load balance our server to make sure we can deliver an excellent service, coupling with the high performance and reliable server. Experts in ReportViewer Hosting - Given the scale of our environment, we have recruited and developed some of the best talent in the hosting technology that you are using. Our team is strong because of the experience and talents of the individuals who make up ASPHostPortal.com. Daily Backup Service - We realise that your website is very important to your business and hence, we never ever forget to create a daily backup. Affordable Professional Web Hosting - We offer superior reliability, performance and high hosting standards. Easy Site Administration - With our powerful control panel, you can always administer most of your site features easily without even needing to contact for our Support Team. Our Windows Cloud Hosting fully supports ReportViewer hosting. You are more than welcome to try our Free Windows Cloud Hosting before you decide to buy. You can get your Free Cloud Windows hosting account up and running within the next few minutes.